I became a bookseller because I had a passion for books. This is not a particularly good reason to make a life career choice. But my decision (if one could call it that) to enter the book business was disorderly. The critical path was filled with loop-de-loops. I’ve never told this story before, but it goes like this. In 1971 I was a graduate student at the University of Oregon in Eugene. I was on a Ph.D track studying German cultural and intellectual history. Most of the people with whom I associated outside of the History Department were hippies or some variation thereof. I suppose I was too, although spending one’s waking hours reading Kant and Kierkegaard created some real cognitive dissonance in my countercultural consciousness and lifestyle. I cut a kind of ridiculous figure with my non-academic friends. But people were more tolerant back then. It also rained a lot in Oregon. And there was a girl. There always is, isn’t there? Things weren’t going too well with us, as is often the case. One day she walked out on me and joined a free love commune called “Earth’s Rising Family.” I kept going out there trying to get her back. The Communards were pretty nice people. They graciously put me up in the teepee down the hill from the privy while they were up in the farmhouse having orgies (or so I imagined). Kant and Kierkegaard didn’t have much say about that either. Somehow all this led me to the decision to leave academics and start a bookstore. As I said, I had a passion for books. I don’t remember much about what kind of thought went into the decision. Not very much at all, I believe. Maybe 5 minutes of thought. Maybe it happened in my sleep. Maybe it happened in the teepee. It was dumb luck, but it probably set me in the right direction for the next 40 years and counting. 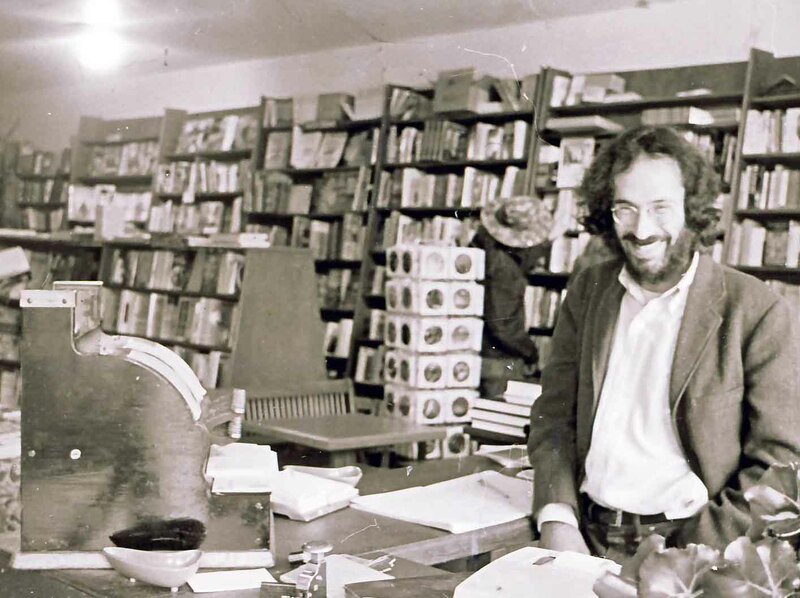 At first I talked to the guy who owned the countercultural bookstore in Eugene. I had heard that he wanted to sell it. If my mind doesn’t fail me, I believe it was called “Koobdooga Books.” It means “a good book” backwards. He told me that he conceived of the name on an acid trip. I thought about buying it. But I was tired of the rain and depressed about rushing back and forth to and from the teepee at Earth’s Rising Commune. So I moved down to the San Francisco Bay Area. I found a bookshop for sale in Cotati, a small college town in Sonoma County about 50 miles north of San Francisco. There was a lot of hippies there too, kind of like Eugene but with more sunshine. It was a very modest store, Eeyore Books. It was started by a couple of local women a few years before. The entire space was 600 square feet, about as big as my living room where I’m writing this. The store wasn’t worth much money, because it didn’t have many books and did even less business. But I still managed to drive a very bad bargain. 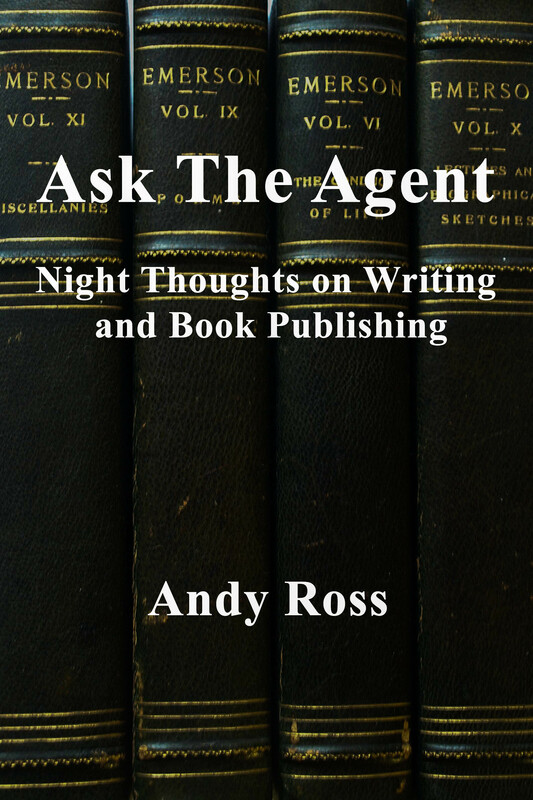 It is a flaw that I fortunately overcame before becoming a literary agent. I paid them $15,000. And the store was mine. I put in some new shelves, ordered up some books and opened for business a week later. It was 1972. On my first day of business I did $32 in sales. It was pretty discouraging. Later I learned that was the same amount of sales that Cody’s had done on its first day of business in 1956. The old Cody’s shop on the north side of campus was about the same size too. 600 square feet. The second day I was open, I met my first publisher’s sales rep, Maggie Castanon of Random House. Until her retirement some 30 years later, she was always my favorite person in publishing. She was a great sales person, filled with a passion for books and totally without pretension. I always felt good when I was around her. After she retired, she even came to work for Cody’s at our Fourth Street store. For booksellers, Random House always held a special place in our hearts. It wasn’t the largest publisher back then. That was Doubleday. But Random House had the best titles for a bookstore such as ours. A visit by a Random House rep was an event to be anticipated. This special relationship between Random House and booksellers continues to this day. Doubleday is now an imprint of Random House. And Random House is the largest book publisher in the world. The second sales rep I met was Joyce Cole who sold books for Avon, a mass market publisher. I think she was Maggie’s best friend. Joyce was striking in appearance, sophisticated, and had a kind of charisma that was difficult to define. I had a feeling that there was something interesting inside. But she seemed cool and aloof. I didn’t expect that we would ever be friends. I was wrong about that. Joyce and I were married in 1986. A lot of people say that the quality of books has gone downhill in the last 30 years, that literary values have been replaced by commercial values and that American reading has been seduced by the dark forces of a hegemonic mass media with a fetish for celebrity. Actually most people in the book business don’t talk that way, except maybe me, and then only at pretentious literary cocktail parties. Nowadays when I argue the point (and I still do 40 years later), I like to recite the great line from Yeats’ poem, “The Second Coming”: “The best lack all conviction, while the worst are filled with passionate intensity.” And most people agree. (Although there are some who are not familiar with that poem and have to slouch off toward Wikipedia to find the reference). But looking back on the bestsellers of 1972, it would be hard to characterize that year as a literary golden age. Still, as I look at this list now, I’m struck by the fact that it isn’t all that bad, certainly a good balance of fine literary titles along with the usual commercial mediocrity. A number of these books I don’t remember selling at all. They probably did much better in the chain stores. Yes, there were chains, even then. The other big venue for book sales was department stores. They all had book departments then. The department store book buyers were towering figures in the book business with immense prestige and influence and were accordingly treated with deference and obsequiousness by the publishers. Those department store book sections are all gone now, replaced with ladies’ accessories and cosmetics. I don’t think it was any great loss either. The department stores had very conventional taste in books that appealed primarily to rich old ladies. You’d walk into these departments and you knew that nobody there really had a passion for books. Book publishing was different back then too. As I mentioned the world wasn’t really focused on bestsellers the way it is now. At least that was true outside of the big chains. My store still had its counterculture feel. We sold a lot of books, mostly paperbacks, on humanistic psychology, eastern mysticism and other things spiritual. Fritz Perls, Abraham Maslow, Alan Watts, The Urantia Book, and Cutting Through Spiritual Materialism were some of my best sellers in the mid seventies at Eeyore’s. I made a lot of money on the I Ching (Princeton University Press edition). And, of course, all things having to do with the ever mysterious, Carlos Castañeda. Fiction, too, was conditioned by countercultural enthusiasms: Tolkien’s The Lord of the Rings, Childhood’s End by Arthur Clark, Stranger in a Strange Land by Robert Heinlein, Siddhartha and Demian by Hermann Hesse, Jonathan Livingston Seagull. There was the usual stuff by self-styled “visionaries” like Future Shock by Alvin Toffler and The Greening of America by Charles Reich. These books have not stood the test of time. There were some other books that, though dated, I still think of with admiration. I wouldn’t mind rereading The Last Whole Earth Catalogue. But I couldn’t give up on my ponderous German philosophy. We also sold the works of Karl Marx, One Dimensional Man by Herbert Marcuse, and anything by and about Friedrich Nietzsche. As you can tell from all these titles, things were different back then. People were interested in understanding life’s big questions. What is truth? How do we lead a just life? How do we make a better world? How to we find happiness and contentment.? I don’t believe we are asking these questions so much now, but maybe I am just blinded by nostalgia. Eeyore’s was a one person operation. We did grow over the years. By the time I left Cotati, I think it had become a two person operation. I had moved the store to another space. It was about four times as large as the original location. I’m still pretty proud of that store. I think it had a kind of perfection, just right for its time and place.